In 1953 the U.S. Senate Permanent Subcommittee on Investigations of the Committee on Government Operations, chaired by Wisconsin Republican Senator Joseph McCarthy, purportedly was investigating the legitimacy or prudence of purchases of certain books by the U.S. Information Agency for overseas U.S. informational offices. This investigation did so, at least in part, by subpoenaing the authors of some of the books that Senator McCarthy did not like. 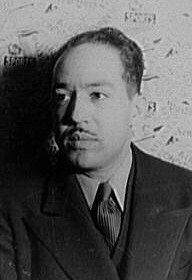 One of the authors who was caught in this investigation was Langston Hughes, an African-American poet, social activist, novelist, playwright, and columnist. The play opens in Hughes’ Harlem apartment the night before his congressional appearance. Hughes cannot sleep as he fitfully tries to write a new poem on his typewriter. He also recites from memory some of his earlier poems. Fearful of the next day, he talks through how he might answer the Subcommittee’s questions regarding whether he is now, or has ever been, a Communist. 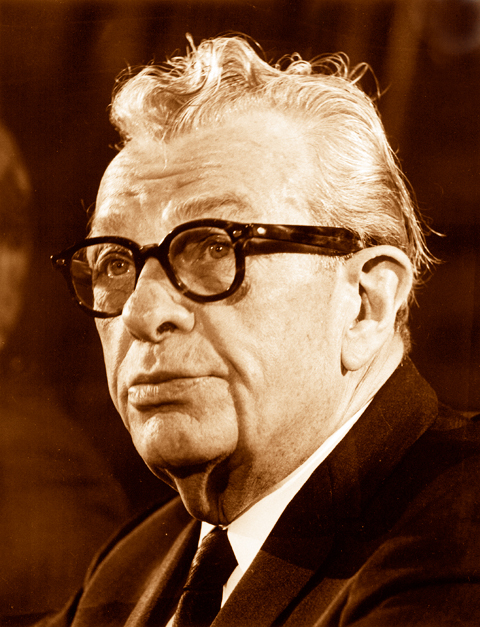 The last half of the play is the encounter at the Subcommittee hearing between Hughes and McCarthy, another member of the Subcommittee (Illinois Republican Senator Everett Dirksen) and its Chief Counsel, Roy Cohn. Hughes naively keeps attempting to answer the argumentative questions, primarily from Roy Cohn, on the mistaken assumption that the Subcommittee really wants to obtain complete and honest answers to impossible questions. In fact, the questions are intended to pillory Hughes as a Communist or Communist-sympathizer. Others in the cast with few, if any lines, are David Schine, a friend of Roy Cohn’s and the Subcommittee’s Consultant, and Frank Reeves, the attorney for Hughes. Not in the play are the other Republican Subcommittee members (Senators Karl E. Mundt of South Dakota and Charles E. Potter of Michigan) or one of its assistant counsels, Robert F. Kennedy. The Democratic members (Senators John L. McClellan of Arkansas, Henry M. Jackson of Washington and Stuart Symington of Missouri) resigned from the Subcommittee in July 1953 to protest McCarthy’s hiring staff without consultation and are not in the play. Through May 20th the play is being produced at the Dowling Studio of Minneapolis’ Guthrie Theater. Gavin Lawrence gives an electrifying performance as Langston Hughes. 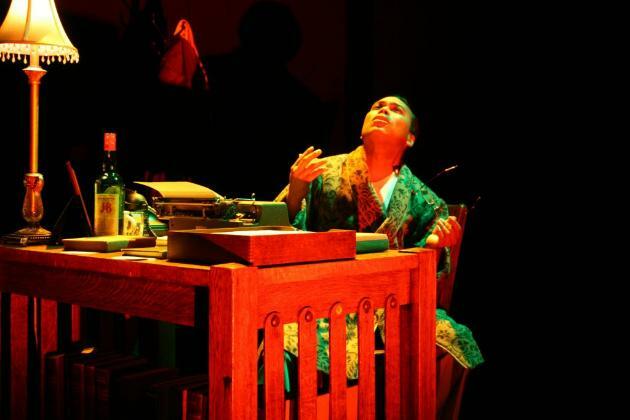 During the first half of the play, he keeps throwing away drafts of the new poem ripped from the typewriter. He declaims his prior poems with passionate intensity while simultaneously the words are flashed on a screen for the audience. Minneapolis’ StarTribune and weekly City Pages gave the production superlative reviews. The Guthrie Theater website for this play contains a Resource Guide that includes Huhges’ biographical chronology and bibliography; one of his articles and one of his poems; the introduction to the Senate’s release in 2003 of transcripts of the previously sealed records of the 1953 executive sessions of the Subcommittee; and other materials. See this play before it closes after its performance on May 20. One of the other materials is an extract from the 1954 Army-McCarthy hearings in which the attorney for the Army, Joseph Welch, asked Senator McCarthy, “Have you no sense of decency?” after McCarthy had attacked a young lawyer at Welch’s Boston law firm. This exchange is often seen as the beginning of the end for McCarthy, who later that year was censured by the Senate. I have done a lot of research about Joseph Welch’s role in that hearing and will make postings of summaries of that research.